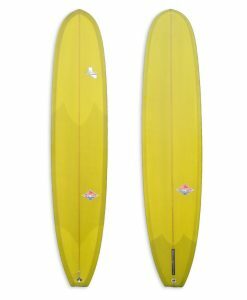 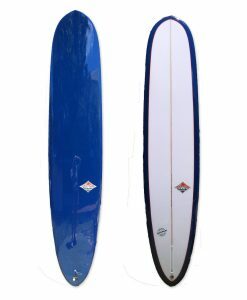 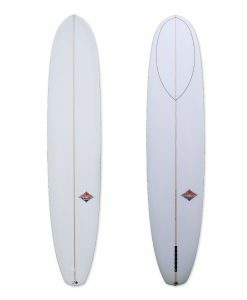 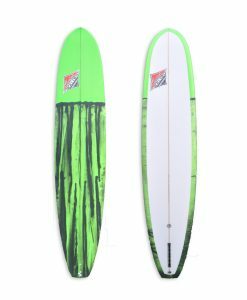 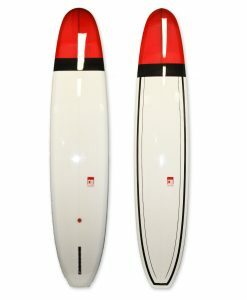 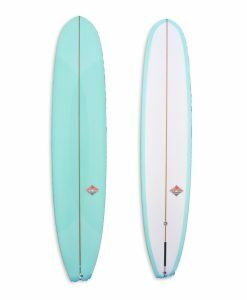 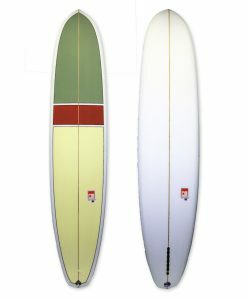 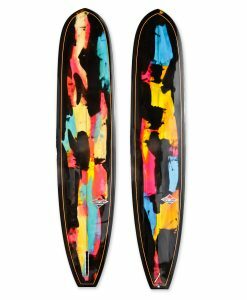 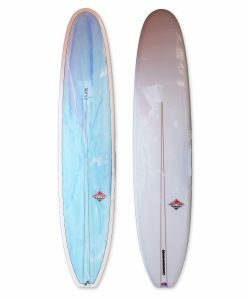 The Lightweight a more traditional board with 50 / 50 rails and single fin. In a lightweight glass for ladies or smaller people. 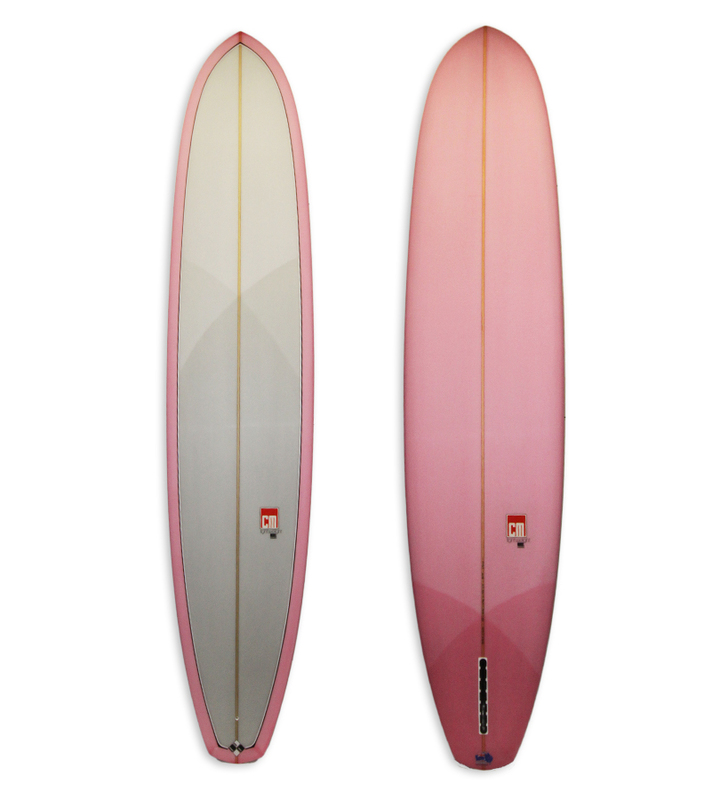 Pink and grey resin tint with subtle glass wrap art.